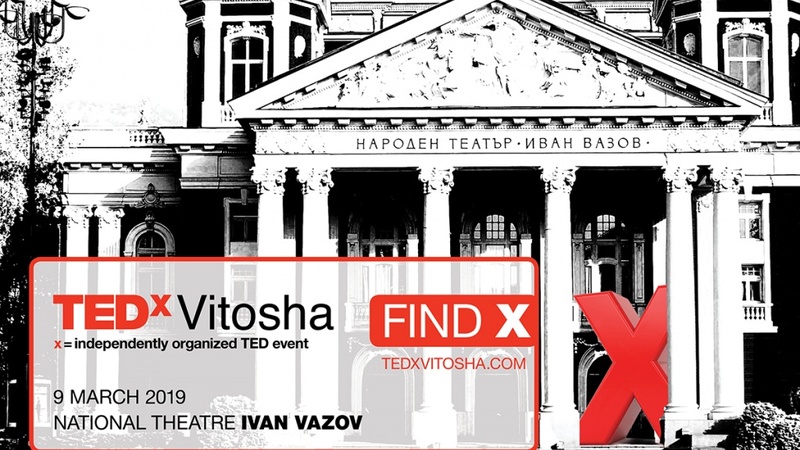 Haven’t been to a TEDxVitosha event yet? Well, it’s time to grab your seat at the table. TEDxVitosha is where our most engaged community members will gather for a full day in the beautiful Grand Hall (and lobbies) of National Theater “Ivan Vazov”. In a concept unique to us, 18 live speakers and performers from Belgium, Romania, Switzerland, UK, Denmark, Mongolia, USA and Bulgaria will share with you their knowledge and ideas - about Xistence, Xploration, Xcitement and Xcelling. Curated and led by experts, you’ll have the opportunity to journey through design, technology, life sciences and bold new challenges, to participate in an animated workshop, to mingle and meet new friends and like-minded people, to shape and share openly inspiring new ideas. This Xtraordinary bilingual event (English and Bulgarian) leaves you elevated and inspired for months ahead. Don’t delay buying your tickets HERE and find out your X. When buying tickets, use promotional code BBBA2019 to get 10 leva off the price of each ticket.